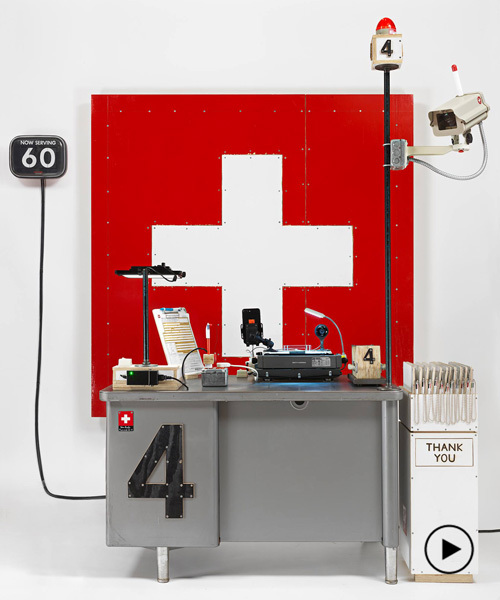 tom sachs is an american sculptor best known for his elaborate recreations of various modern icons. 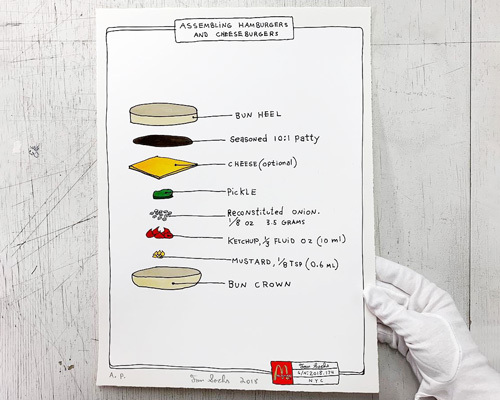 sachs' graphic standards detail the ins and outs of working for the fast food giant. 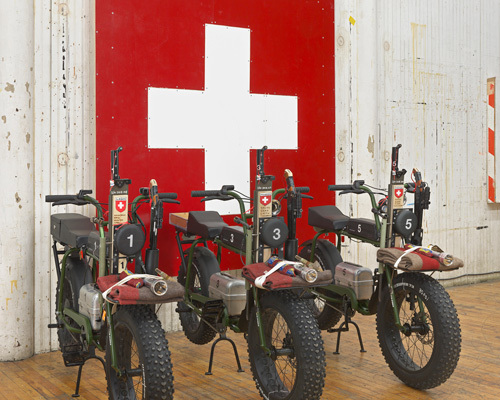 'the pack' is an exhibition that gathers new and recent sculptures that materialize the appeal of switzerland as an idealized brand for the artist. 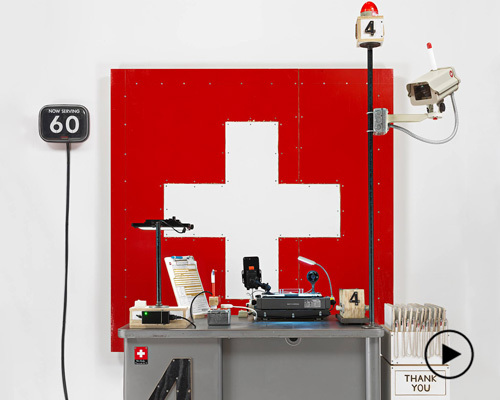 for sachs, swiss citizenship is 'the ultimate status nationality, representing wealth, neutrality and freedom'; a status he wishes to make available to all. 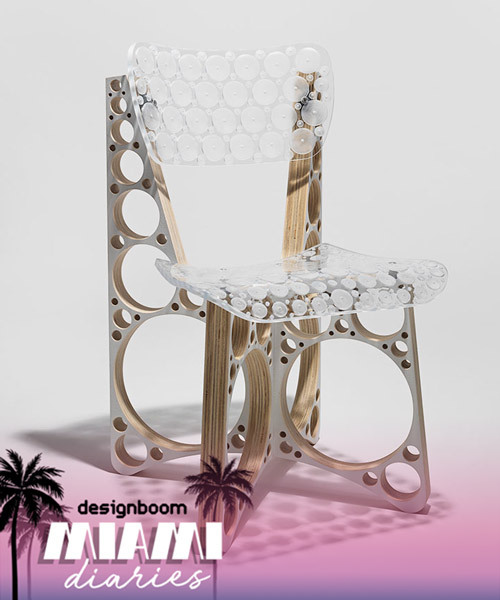 the series includes a side chair (with and without arms), lounge chair, and several tables in various sizes. if you want to get your hands on the exclusive, tom sachs-designed NIKECraft mars yard 2.0 shoes, you're going to have to work for it. 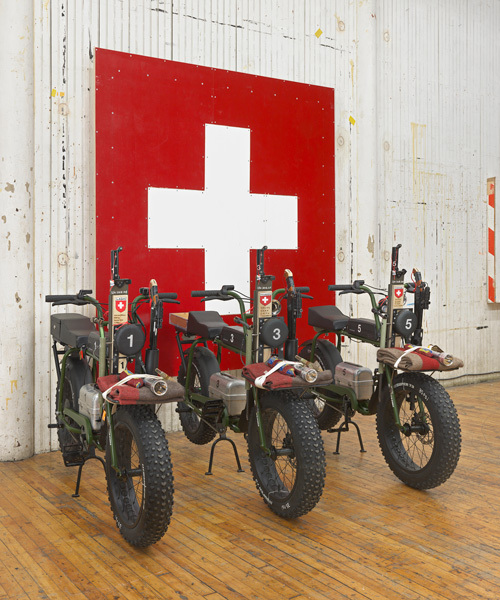 artists seem more than a little preoccupied with outer space at the moment, and none more so than tom sachs. designboom has visited the american artist's most recent space odyssey installation exploring NASA's mars missions at the armory in new york city. utilizing unconventional materials from airbags to boat sails, the collection of jackets, bags, and sneakers shares the concept and aesthetics of the artist's 'space program: mars' project. 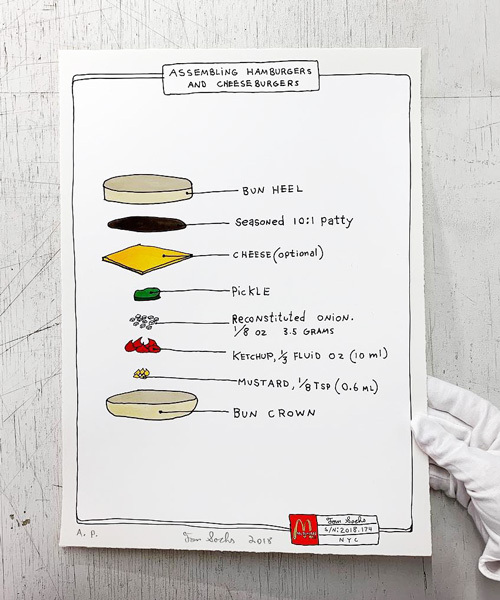 tom sachs, who is known for working with--and reworking--iconic images, the exhibition focuses on le corbusier and explores the successes and failures of modernism.